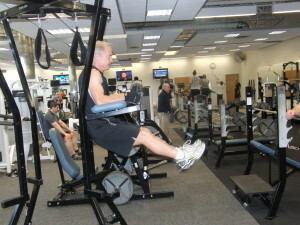 Life Fitness upright and recumbent LifeCycles, Summit Trainers, cross trainers and treadmills. 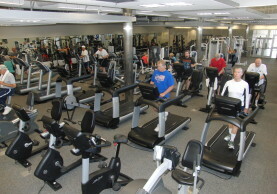 Precor treadmills and elliptical machines, Schwinn Air Dyne and Wind Sprint bikes and Concept II rowing machines. 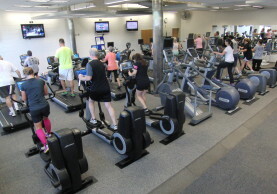 Life Fitness Flex Striders (variable stride trainers), Life Fitness PowerMills (revolving tread step machines), Concept II Rowers and Ski Ergometers, SciFit and NuStep Recumbent Step Machines, SciFit Upper Body Ergometers, SciFit Recumbent Elliptical and Keiser M3 Indoor Cycles. 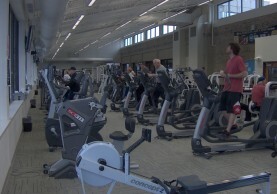 Fully Integrated TV’s and guided Life Fitness Courses. Life Fitness selectorized strength machines, Hammer Strength (plate loading), Olympic free weights, dumbbells (3-110) and plenty of accessories. 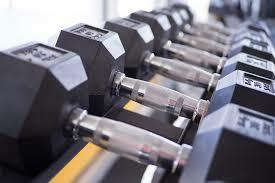 Battle Ropes, Heavy Balls, Kettlebells, Plyometric Platforms, Body Bars, Punching Bag, TRX and more! Be sure to take advantage of our many other amenities such as showers, sauna and steam room, whirlpool (see hours), lap pool, walk/run track (banked mondo surface) and gymnasium (an additional fee may be required).